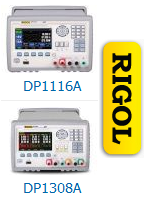 In this episode Shahriar reviews the brand new Rigol DP1116A and DP1308A programmable power supplies. Furthermore, the power supply features are compared against an Agilent dual output power supply. The MSRP for both products is $849. Rigol offers a 30 day no-questions-asked return policy and a 3 year warranty. They also provide an excellent local technical support out of tropical Cleveland, Ohio. I would like to propose the link exchange deal with your website corgitronics.com, for mutual benefit in getting more traffic and improve search engine’s ranking, absolutely no money involve. We will link to you from our Music and Entertainment authority site – https://www.loudthings.org/, from its homepage’s sidebar. In return you will agree to do the same to link back to one of our of our Music & Entertainment Site, from your corgitronics.com’s homepage too (sidebar, footer, or anywhere on your homepage), with our brand name Guitar Junky. We will link to you from our Music & Entertainment authority site – https://www.loudthings.org/, from its homepage’s sidebar. In return you will agree to do the same to link back to one of our of our Music & Entertainment Websites, from your corgitronics.com’s homepage too (sidebar, footer, or anywhere on your homepage), with our brand name Guitar Junky. We will link to you from our Society, Legal, and News Authority Site – https://www.integratedlawfirm.com/, from its homepage’s sidebar. In return you will agree to do the same to link back to one of our of our Personal Injury website based in Dallas, Texas, from your corgitronics.com’s homepage too (sidebar, footer, or anywhere on your homepage), with our brand name Personal Injuries Legal. Are you sure those RF bursts were actually coming from the power supplies? I don’t think they were. It looked like a ~50MHz (aliased) version of the ~100MHz signals I see on my 500MHz scope. Judging by an FFT of it, I presume it’s coming from FM radio transmitters as it seems to range from 88 to 108MHz or thereabouts. Try looping your probe ground to probe tip and I’ll bet you pick up the same thing with a much lower amplitude. If not, add some capacitance instead of the dead short to bring the amplitude up out of the noise. I have very little doubt that you’ll find it then. This is exactly what happens when you try to measure low amplitude signals without appropriate probing. Banana adapters just won’t do. Try the ground spring directly on the power supply outputs and I bet this “noise” will diminish greatly or vanish entirely. That’s my theory anyway. Obviously I wouldn’t be watching your videos if I were that sure of myself. I do hope you’ll give it another look and get to the bottom of it, because I’d really like to know the source of these signals. In any case, thanks for everything and keep up the good work! I was considering buying the DP1116A model and I was just curious if you have heard anything back from them about the changes you wanted or if they have already implemented them. Great review! You’ve convinced me. Where can I buy a DP1308A for $849 ? None of the sellers listed on the Rigol site even list the product. I found a few other sites listing it for over $1000, but I don’t think they actually have the product to ship. Keep up the reviews, the Saleae reviews were very informative, I appreciate the attention to detail. Great! I can definitely put you in touch with the Rigol people and they will be able to ship one to you very soon. Don’t pay more than $849 for it! Please send me a private message and I will put you in touch with them. I ordered a 1308A directly from Rigol last Friday, and it arrived on Monday afternoon. It is well within spec, and provides very clean power. I haven’t had time to run it though the full set of checks, but the output is within a couple mV of what is on the screen. And, it maintains that voltage at all current loads. The web interface is nice, but there’s something up if you run it through a firewall… I’ll have to check that. Fantastic! Let us know if you do some interesting tests on it. Unfortunately they may be too expensive for hobbyists, but they are great for research and industry applications. great video again! I’d like to know a little more about the constant current mode. How does it behave when you turn the output on under load? Does it ramp up the voltage quick and smoothly as in constant voltage mode? I tested some older PSUs at work a while ago and it appeared that a lot of these PSUs had only very slow current limiters. They applied the full voltage to the test circuit for some hundred milliseconds until the current limiter eventually kicked in. I tried the test you suggested. I put a 10Ohm load at the output, limited the current to 1A (so 10V at the output) but set the output voltage to its maximum at 32V. I looked at the response on the scope, there was absolutely no overshoot. The supply took a little longer to settle to the final 10V value and CC, but with great accuracy. would the sense probes make a difference? No, they did not. The power supply has its own sense loop which monitors the output directly at the supply output, so in a way, the sense is always partially active. Very nice review on the supplies. I’m glad there is another electronics vblog for us to follow. I hope you keep the videos coming frequently! Very thorough reviews. Nice job! I’ve bookmarked your RSS feed right next to that of the EEVblog. There is one additional power supply test I’d like to have seen: the scope capture of the voltage when the supply switches from voltage-limited mode to current-limited mode (and vice versa). For example, you could set the the supply to 10V, 2A and connect a single 10-ohm resistor. Then flip a switch to suddenly connect 3 additional 10-ohm resistors in parallel with the first. Then turn flip the switch back to remove the load. Seeing the behavior of the output voltage under those conditions would be very interesting. Also, I’d love to see a tear-down of those power supplies. Hi, I agree with you. That would be a good test. Perhaps if Rigol does a firmware upgrade with the features I wanted to see, I can do a few more experiments. I also hope to do a teardown at some point. I enjoyed the latest videos very much, i disagree that your video are too long, it’s important to explain these things thoroughly (I need things explained at least twice lol). This is a great source of information for students like myself. Now I understand what current sensing is all about, that’s one of those intricacies that bypass me. By the way, is it just yourself maintaining this site or do you have a band? And if so, would they be capable of producing some vids? We hope to have videos from the other members soon! Thanks for your interest and kind words. Good review, but I think a bit too long. Nice review, though a bit lengthy. Any intend for a tear down? That would be an interesting and useful way of learning electronics too. Yeah, I am considering doing a teardown! Wow, what an awesome review/tutorial on testing! The power supplies look really good, but for a poor student a bit too expensive. Do you have any advice/recommendations for a cheaper bench supply, around 300usd? Sure, when I get a hold of one, I will review it. Nice videos you have. Like your systematic approach, even if your videos get a bit longer because of that. But I think you can learn more from it that way. Why does the voltage rise: resistor temp rises, resistance rises, current falls, cable loss falls, voltage over resistor rises. What is the over current function of these power supplies compared to the current setting? Does it completely switch the supply off if this amount of current is reached (instead of reducing the voltage to keep it to the set max current)? Can it switch all three supplies off if one hits the over current limit? Thank you for your feedback. The answer to the quiz is correct. The OCP simply turns the output completely off if the condition has been met. The current limiting mode (CC) reduces the voltage until the constant current is met. The triple output supply turns all the outputs off when OCP is detected.